Redistricting Reform or Another Gerrymandered Decade? Pennsylvania's "creatively" drawn 172nd State House District and 6th Congressional District. State Rep. Babette Josephs, D-Phila., has replied to the governor on his request for her to move redistricting legislation out of the House State Government Committee. In a letter she sent to Rendell, Josephs said that she, too, wishes to reform the redistricting process, and that's why she held a public hearing on the issue and initially scheduled a vote on the bill. However, an analysis of H.B. 2420 revealed serious problems, and it was necessary to remove the bill from the committee's voting agenda. 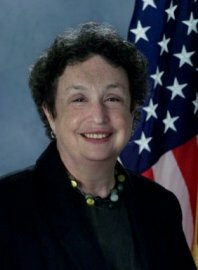 State Rep. Babette Josephs (D-PA182). "This bill, as currently drafted,” she wrote the governor, “would give full and complete authority to an unelected bureaucrat to make several hundred critical decisions that will create new districts, eliminate existing districts and significantly alter many more. This bureaucrat, admittedly unqualified for the task and reluctant to take on such authority, would be accountable only to the General Assembly itself. House Bill 2420…proposes potentially settling disagreements between dueling redistricting plans by casting lots to determine the final plan, essentially deciding critically important public policy by a coin toss." The State Government Committee chairwoman also said that she has found serious flaws in other legislation that has been referred to her committee. "While I appreciate your support for changing the current redistricting process, I also know that it must not be done hastily with unintended consequences that set back reform," Josephs wrote. "There is still time for my committee to consider redistricting legislation; however we must work in tandem if it is to be successfully done." Josephs offered to meet with the governor to discuss the issue in person. She said that although the governor has no formal role in reforming the redistricting process, she would like him to exert his influence across the legislature to bring everyone together so this reform can be addressed adequately without serious flaws. The Jewish Social Policy Action Network (JSPAN) wrote an open letter to Representative Josephs urging stronger action on this important issue. Several Bills to reform our redistricting process are locked in the House State Government Committee which you chair. When you canceled the scheduled vote on redistricting bills, you wrote The Philadelphia Inquirer that the proposed changes would not be reform - and you claimed that you are "willing to examine alternative proposals" - but meantime, you have fated us to another round of gerrymandered districts that will last for at least ten years, from the 2010 census until the 2020 census. The proposals before you to put a professional staff at the Legislative Reference Bureau in charge of an open, public process beats the present method hands down. Today four partisan politicians, the majority and minority leaders from the House and Senate, and a chairman they appoint, do the redistricting. The courts give only a cursory look to assure that the districts match up in population, while citizens have no power whatever in the process. History teaches us that the system is rigged to ensure that incumbents of both parties get re-elected in districts drawn to produce that result. In addition to the bill in your Committee that was signed by 92 legislators, there are several other redistricting bills pending which you are not bringing to a vote. And there are model redistricting systems in several other States that have been proven in practice. Why are you sending us back to square one? Why do we have to start over in your Committee, rebuilding a consensus for reform that has already expressed itself quite clearly to more than 90 of your fellow legislators? Has this process all been just a sham to give the appearance that reform was possible? 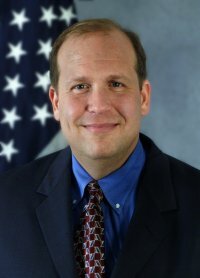 State Rep. Daylin Leach (D-PA149). We are running out of time. Specifically, the days in which we can pass meaningful redistricting reform in time for it to affect the next reapportionment in 2011 are dwindling to a precious few. If reform is not passed by early July, it is, because of constitutional notice requirements, dead for another decade. As you may know, we are constitutionally required to redraw the lines of our state legislative and congressional districts at least once every ten years to reflect the population shifts which have occurred within our commonwealth, while ensuring that each district has the same population as the others. Unfortunately, politicians cannot resist the temptation to draw the lines to advantage themselves, their friends and their parties while disadvantaging their opponents, their enemies and those foolish enough to belong to the other party. 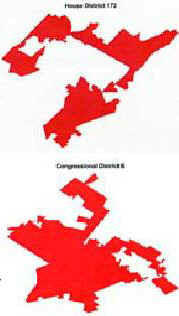 The term which describes the phenomenon, "Gerrymandering" has been around for a very long time. It came into being when Elbridge Gerry, the governor of Massachusetts, approved a district which looked like a salamander in 1812. It was called a Gerrymander and the term stuck. But while the problem is not new, but it is getting worse. This is due in part to the advent of powerful computer programs which can predict performance down to the block, and in part to the fact that we are just getting more blatant about it. The result is a situation where fewer and fewer elections are competitive. The voters are no longer picking their political leaders, politicians are picking their voters when they draw the lines. The damage this does to our democracy is deep. First, it means that politicians are often not accountable to the voters. If I can never lose, then I don't have much political incentive to worry about what the voters think or to heed their concerns. Second, it denies voters the debate they deserve. If I am in a district that performs at 70% for my party, my general election opponent won't be taken seriously. He or she will be considered a token candidate with no chance to win. He won't be able to raise money, the media will pay scant attention and I am likely to pretend he doesn't even exist. There is no airing of policy differences and the voters are cheated out of the promise of elections in America. What is perhaps the worst part of gerrymandering is that it is a self-perpetuating and self-accelerating cycle. If I don't have to worry about losing to the other party in a general election, I have no incentive to reach across the aisle and find common ground with the opposition. I have introduced legislation, HB 81, designed to greatly reduce) the influence of politics in reapportionment. The bill is lengthy and complicated but it will make redistricting a fair, non-partisan exercise which will result in many more legislative races being truly competitive. Unfortunately, we are having trouble getting a vote on my bill. The leadership of both political parties opposes my bill because it asks them to give up power. I believe that this is the most important political reform we can consider this year. If we give people back fair, open and competitive elections, I think you will find that many of the other problems with our political system will solve themselves. But if we don't act in the next couple of weeks, we'll have to wait to 2021 for any change to occur. The continuation of a gerrymandered status quo should be an embarrassment to all Pennsylvanians. The governor’s bid to assert leadership in this matter, to move bills to a vote in the General Assembly, is a welcome change from the caution which has mainly characterized his tenure as governor, and his approach to the recent presidential contests in his own party. If the governor cares to leave more of a mark on the future of Pennsylvania than an environmental bond issue, asserting his authority here would be a sign that he finally recognizes we are in a time of change. It is difficult for common citizens to make distinctions between HR 2420 and HB 81 without more details. Just providing for class action recognition for gerrymandered districts, with clear criteria for contiguous, compact boundaries, would be a small guarantee that the people are not once again going to be screwed.